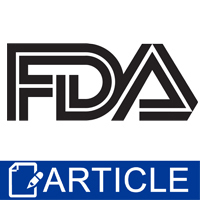 Did you know that not all soap is exempt from FDA regulation as a cosmetic? The FDA Cosmetic exemption for soap is very, very specific and it is much more than just naming a bar of soap "soap". 1. The bulk of the nonvolatile matter in the product consists of an alkali salt of fatty acids and the product’s detergent properties are due to the alkali-fatty acid compounds. 2. The product is labeled, sold, and represented solely as soap. 3. The soap is labeled and sold only as soap, making no other claims such as "moisturizing"
If your soap meets this exemption, it does not give you a free pass to ignore ingredient safety and manufacturing best practices. It means that the Consumer Products Safety Commission (CPSC) instead of the FDA regulates your soap. The CPSC expects the all products, including soap, to be safe for consumer use. The CPSC expect that you need to either test your products for consumer safety or know your ingredients/formula well enough to ensure a safe consumer product. A common area of error is "soap safe only" color additives. These are often non-toxic ink dyes. "Non-toxic" sounds safe so you may assume they are indeed safe for use in soap. The problem comes in when there is a consumer allergy or injury. The CPSC will utilize the manufacturer’s recommendation for use, which is typically plastics and ink dye applications. They will clearly use the FDA’s studies that state the color is not skin safe for cosmetics. If there is an investigation, the CPSC will likely find that you have failed to provide a safe consumer product. This can then result in recalls, fines, brand damage and public embarrassment. It is even possible that your insurance carrier will not cover the consumer injury claim because you knowingly used an additive not approved for skin contact. "Can you clarify which Melt & Pour bases you offer that would be considered "soap" vs. cosmetic?" Staff Answer Our Detergent-Free bases fall under the soap exemption. There are no added detergents in this base.